Thinning is best described as the selective removal of inferior stems in order to favour the growth of the remainder better quality stems. It is a normal and essential part of most forest crop rotations, and is essential if crops are to produce the maximum number of high value logs and consequently increase profitability. Thinning is generally undertaken 2 to 5 times over a forest rotation depending on the productivity of the crop. Inspection paths are essential to carry out a professional assessment for thinning purposes. Assessment will include quality, stability, quantity, stocking etc. 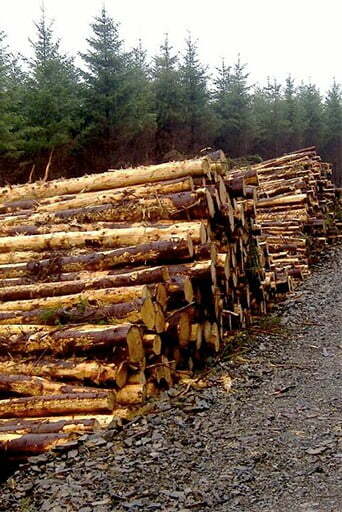 A harvesting plan and time line, that will ensure your site is thinned to best forestry practice, will be put in place. It is a legal requirement to secure a felling license before any felling of trees can take place. There are two types of felling license, a general felling license (GFL) which is required for thinning a plantation and a limited felling license which is required when you are clearfelling your plantation. SWS Forestry will apply for the relevant felling license on your behalf according to the stage that your plantation is at. Once a site inspection is conducted and a felling license has been applied for, an application can be sent to the forest service in order to obtain grant aid to construct a road. Once approval has been obtained SWS Forestry will construct the forest road in your plantation. 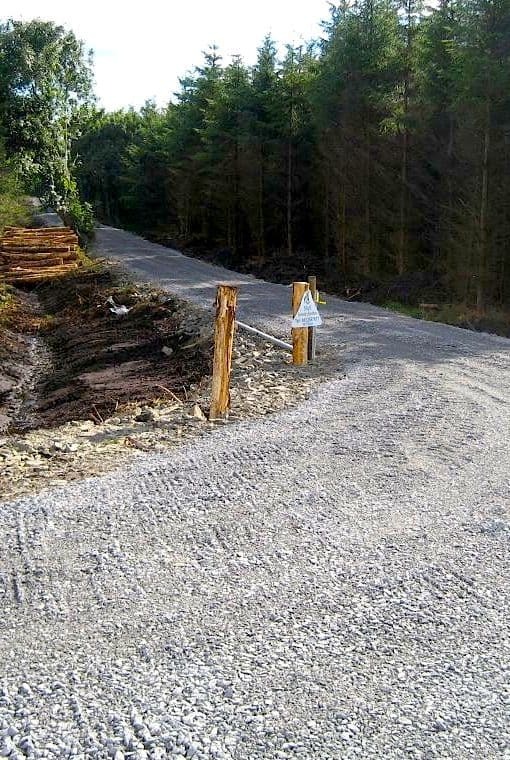 SWS Forestry has extensive experience in forest road construction. SWS Forestry will draw up a harvesting plan unique to your plantation. SWS Forestry will map the land selected for thinning, outline any environmental / archaeological concerns, and the potential hazards associated with the property. SWS Forestry will present a harvest plan by using maps accompanied by a description of all relevant information. • The felling parameters such as intended volume for removal, tree sizes/stocking etc. and the chosen thinning cycle. All operations will be carried out to minimize risk of accidents. •No over thinning is taking place to reduce the risk of wind throw. SWS Forestry will control the amount of timber removed from the site. From site inspection stage timber measurements would have been recorded and stocking rates would be recorded, from this SWS Forestry can conduct post thinning measurements to establish the volume of timber removed. A docket system will be put in place in order to control and keep record of the volume of timber being removed. • Consultancy Fee Package; SWS Forestry will agree a fee for the different elements outline above and as requested by the land owner e.g. felling license application, road application etc.